Certified "Healthcare.gov" Agent for the FFM "Marketplace"
"Life insurance" has been around in one form or another in the USA since the mid-18th century. It wasn't until the mid-19th century that the big regional companies like New York Life Insurance and Trust Company began expanding to multiple states. Nowadays life insurance is everywhere--online, on television, in newspapers, on the sides of race cars, on your front doorstep and, well, everywhere! Despite that, one of the most mis-used and simultaneously underutilized financial products available to consumers and businesses is life insurance. It's pretty simple in concept, really. You pay moneyto an insurance company weekly, monthly, quarterly semi-annually, or annually--some even pay for it in a discounted lump sum--all in return for a guaranteed amount of money that will be paid out by the insurance company on the death or catastrophic disability of the person insured. But belying its simple concept, its uses are quite varied and often misused or misapplied to gain maximum benefit to those it is intended to benefit or protect--a wife, one or more family members, foundations and charities, a church, business partne(s) or a corporation, etc. It takes years of study and practise to become knowlegeable and skilled enough to be able to best advise a client in the management of their assets, both business and personal. This is too important of a subject to leave it to amateurs--which is what someone is who buys insurance off the internet without consulting an insurance professional or financial planner, even if just to consult for a second opinion. Be smart with your financial future--and the futures of those you care about. If you haven't had your insurance portfolio (both personal and business) reviewed in the last 5 years as part of your overall financial planning, it is time to do so now. 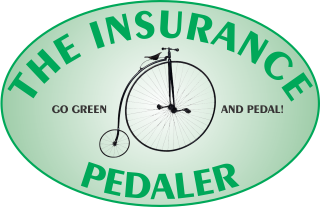 Contact The Insurance Pedaler for an insurance and financial planning review and peace of mind. It's the wise thing to do.